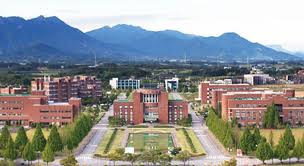 Gwangju Institute of Science and Technology (GIST) offers programs leading to M.S., Ph.D. and integrated M.S. and Ph.D. degrees. Students are expected to maintain full-time student status and continuous registration until completion of all requirements. It normally takes two years to finish an M.S. program and four years for a Ph.D. program. For a Master’s degree, students take a maximum of three years to complete their degree. For integrated M.S. and Ph.D. program, students have a maximum of eight years to complete their degree. Ph.D. students have a maximum of seven years to complete their degree. All GIST students are awarded full-tuition scholarship for two years of M.S. program and for four years of Ph.D. program. All GIST students receive stipends throughout two years for M.S. program, and four years for Ph.D. program. Students are required to maintain full-time status. M.S. students receive monthly stipends of 220,000 won and 250,000 won for Ph.D. students. International students with GPA 3.0 or above may be given an additional 120,000 won as an international student support stipend. GIST provides all students with on-campus dormitory housing free of charge, monthly utility fees of 30,000 won will be deducted from your monthly stipends. GIST also has apartments for married students which charge a resident for rent and utilities. For M.S. students, up to 229,900 won per year may be reimbursed of the amount incurred for research experiments, and up to 270,600 won per year for Ph.D. students, with the approval of their academic advisor. Expenses associated with a student’s research for the M.S. thesis may be reimbursed up to 511,000 won per year, and 901,250 won per year for the doctoral dissertation, with the approval of their academic advisor. Research assistantships are available for qualified students working on funded projects. Students who are granted assistantships well be paid according to their work hours and degree of participation in the project. For international students, 60% of the Korean National Health Insurance fee is supported by GIST. For students receiving Korean Government IT scholarships, however, 30% of the Korean National Health Insurance fee is supported by GIST. Secondly, mail all required documents to GIST. The application deadline for the fall admission is April 15 and for spring admission, October 15. Late applications will be considered for the subsequent semester. In order to be considered for admission, official English test results should reach us before the deadline. English scores more than two years old are not accepted. Because English is the medium of instruction at GIST and success in graduate study depends on English language competency, official English test results must be presented by applicants who are not native born citizens of Australia, Canada, Ireland, New Zealand, the UK and the USA as part of their applications. Applicants holding bachelors or advanced degrees from accredited institutions in one of the countries listed above may be exempted from English requirements with prior approval of GIST. In general, the minimum score for acceptance into our graduate programs is 550 of PBT, 213 of CBT or 80 of iBT. We also accept the score of IELTS, TOEIC and TEPS when the applicant doesn’t have TOEFL score. The minimum score for acceptance is 6.5 of IELTS, 750 of TOEIC and 680 of TEPS. If the applicant submits documentation related to English proficiency issued by the President and Dean of the last school attended. If the applicant passes an English proficiency evaluation in a face to face interview administered by an English lecturer from the Institute, or a selection committee member during an academic event held by the Institute such as overseas symposiums. Students admitted to GIST with conditional admission must, within 6 months from the date of admission, submit official English test results that meet the application criteria of the Institute. We strongly recommend that you obtain a recommended English test score because Korea Immigration Service may require an English or Korean Test score for VISA application. You will take full responsibility for the accuracy of the documentation that you provide. In the event that any academic information that you submitted is found to be false or to contain inaccurate statements, your admission to GIST will be cancelled. Professors of the admissions committee in each school or department will review all documents. If necessary, an oral interview may be required.? Note: You MUST submit the Application Form online and mail all required documents to GIST. You may check the Application Status and the Final Decision online.